The retro gaming industry continues to explode. 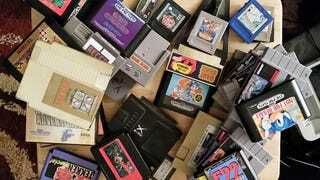 CNN reported on the secondary market for vintage games, and the dusty, old cartridges sitting in your mom’s attic are increasing in value — sometimes by twice of what they were valued at years ago. Even The Legend of Zelda, a ‘common game’ that sold for a respectable $12 a few years ago, can now fetch a dealer $25. Rarer games and systems can sell for thousands. One such dealer, Giulio Graziani, discussed the changing times. One might think that online stores, such as the Virtual Console, would drive prices down for these games, due to supply-and-demand. But so far, it doesn’t seem to have had an effect upon demand. Perhaps there’s something to be said for permanent, tactile ownership. And when even the most popular classic games aren’t available through the official outlets, the alternatives must feel tempting.